Before I even get started, I just want to say that this is NOT a sponsored post; I just love this product already and think the gesture of this program is extraordinary. The wonderful people working for the Military Wellness Initiative do not even know me personally or know that I have this blog. Anyway, have you military spouses heard of the Military Wellness Initiative? If not, they are doing a pilot program right now for all military personnel and their dependents in Texas (for the time being - it sounds like this is just the beginning of the road for this wonderful opportunity). My husband received an email about the program, and we signed up right away. We received the UA Band from UnderArmour at NO COST to us at all. That's a $180 value (each), and we're pretty stoked about it. We each got one; we do not have to share... just to make that clear. 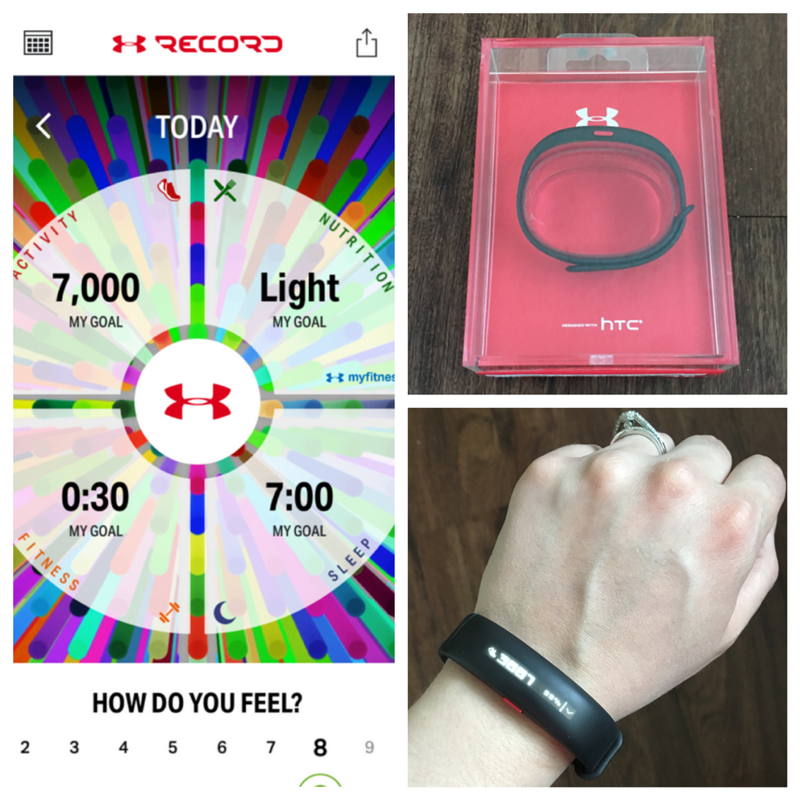 We also both received access to the UA Record app, where we can track our steps (synced automatically through the band), sleep, fitness, and even nutrition. I am really loving it already, and I won't lie: I've become one of THOSE people who tracks my steps now. I have never done this before because I knew I would become obsessive... but after having a baby and staying at home with her, I need a reason to get out an about a bit more and get moving! This is the perfect solution. I'm able to take Annabelle with me on walks. The heat and humidity has been brutal here lately, but we're making do (and walking inside when we can). If you have a step tracker (no matter what brand), how do you ensure you get your 10,000 daily steps in? My goal is set to 7,000 steps a day right now because I'm just starting out and still figuring out how to accomplish it while staying at home with Annabelle. I have hit my goal two days in a row, though, so I think I'm ready to step up my game (haha... pun intended). If you are a military member or spouse living in Texas, check this out TODAY! This is the last day for the Military Wellness Initiative Pilot Program sign-up! You won't regret it!